Jade Wolansky is a senior majoring in International Relations and Political Science with a minor in Chinese at UC Davis. She works as a research assistant in the UC Davis Department of Political Science and the Asian American Center on Disparities Research. She's also involved with API activism and wants to dispel the “model minority” stereotype that Asian Americans are unable to be leaders in their community. After graduation, she plans on pursuing a career in public service or law and continuing her involvement in API advocacy. Jade wants to focus especially on increasing API participation in politics and building solidarity with other marginalized groups. My name is Martha Ancajas, a first generation Filipina American. I am an Ethnic Studies major concentrating in Asian American at California State University, Sacramento. My experiences as a first generation immigrant as well as the first and only one to go to American University has shaped my passion to fight for immigrant rights as well as the under representation of Asian Pacific Islander in Sacramento community. Currently, I Am, the founder and chair of the Define American Sacramento chapter and I dedicate my free time volunteering at the Dreamer’s Resource Center whose goal is to make the college degree become a reality to the undocumented young. Vanessa has held leadership roles at UC Davis in both the Taiwanese American Organization and the Asian Pacific Islander Queers. She interns at the Yolo County Animal Shelter, UC Davis Veterinary Medicine Teaching Hospital, and has previously interned at the Nike Animal Rescue Foundation. She is a freelance photographer and has a special gift for photographing animals. As a person with multiple marginalized identities, karen is committed to radical transformations for institutionalized oppression in the education system through law and policy to advocate for education rights of traditionally disenfranchised students, including undocumented immigrant students and first generation low income students of color. As an immigrant in the education system, she is one of the many immigrant students who encountered disadvantages affecting her education and she noticed these same barriers intersecting other students of color and that meant we are all interconnected which illuminated and galvanized her passion in transforming the nation’s consciousness for equity in education through law and policy. As she is navigating through higher education, she has begun to have a growing insatiable desire to positively impact lives of impressionable students in underprivileged and underserved areas especially in higher education institutions by being dedicated to mitigating the effects of institutionalized racism through effects of scars of racism and stigmatic injury in student’s educational journey to ultimately help students to reach their highest heights. Currently karen is planning her dreams of attending law school for education law and civil rights law with foci in gender and minority issues. Day to day, she continues to decolonize the labels and stereotypes she has been forced to wear. karen’s favorite things in the world are liberation for people of color especially in the community she was raised by; Asian Pacific Islander Americans and intersectionality that focuses on personal and social liberation for everyone. Jose is currently a 2nd year Political Science major and Education minor. In addition, he serves as a student senator at the Associated Students of UC Davis, as a student representative in the UC Davis AAPI Retention Committee under Assistant Vice Chancellor Milton Lang, and as a research assistant under Dr. Linn Normand. 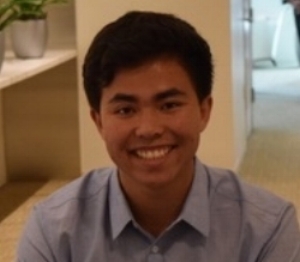 ANDREW CHANG, BUSINESS ADMINISTRATION MAJOR AT UC BERKELEY, WITH A CONCENTRATION IN GLOBAL BUSINESS. Andrew is a polyglot who speaks 11 languages fluently (Mandarin, Arabic, Spanish, French, German, Swedish, Hindi, Portuguese, Icelandic, Taiwanese, & English) and loves to travel. Corban is a talented graphic designer and photographer. While still in high school, Corban started a clothing line with his original designs. 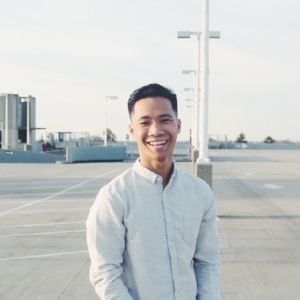 He currently interns for several organizations to develop his professional graphic design skills, including apiNXT. He is responsible for several of the graphics on our social media and website! Brittany has a special passion for people with special needs. She currently works as a Behavior Therapist for the Center for Autism and Related Disorders. Brittany’s interest in special needs started early. She worked as a teacher intern in the special needs class all the way through high school and she started a club at school to integrate the special needs kids into the main student body through weekly lunches together. She wanted to help develop the social skills of the special needs kids because she felt they were always isolated and help the other kids see the special needs kids the way she does---as the most amazing human beings ever created. YOUR HELP IS NEEDED TO MAKE A DIFFERENCE IN ADVANCING ASIAN & PACIFIC ISLANDER AMERICANS TODAY! PLEASE DONATE! JOIN OUR EMAIL LIST TO RECEIVE EMAILS ABOUT OUR EVENTS & CRITICAL API NEWS!